Our distinct, original designs deliver an outstanding consistency of quality, finish and authenticity. We offer 5 distinct Irish Pub Designs, Creating a unique customer experience within a hospitable atmosphere. View some of our latest projects, and see how GGD Global creates the best Irish Pubs across the globe. At GGD Global we offer Irish Pub design from concept to final completion to deliver the finest product possible, anywhere in the world. Guinness chose GGD Global as the first approved Irish Pub Concept design and build company to design and build authentic Irish pubs and bars. WELCOME TO GGD GLOBAL LTD. 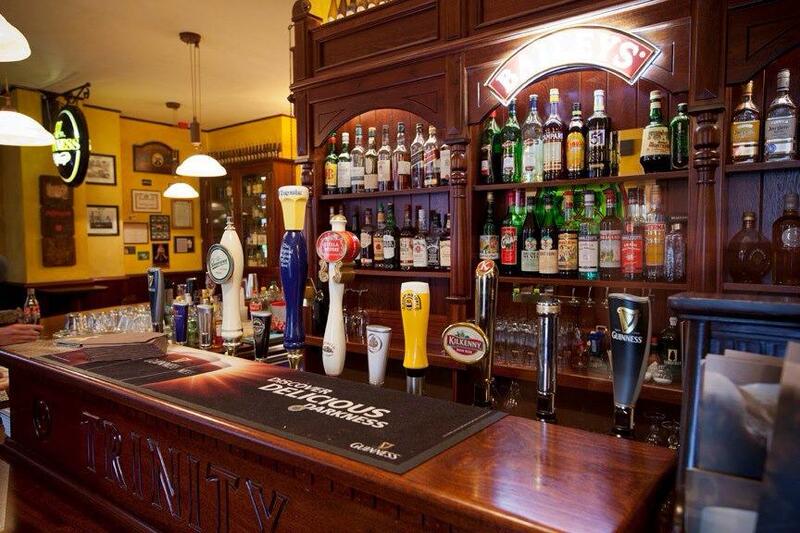 Established in 1980 and incorporated in 1985, Gemmel, Griffin & Dunbar Ltd. (GGD Global) is the the original and longest established creator of Guinness Approved Irish Bars and leading Irish Pub designers based in Dublin, Ireland. In 1988, GGD Global became the first Irish Pub Design & Build Company to successfully export an Irish bar with "Murphy's Bleachers" in Chicago. Our distinct designs deliver an outstanding consistency of quality, finish and authenticity, with all of the Irish traditional charm. These qualities create the uniquely hospitable atmosphere that makes the Irish bar such a successful investment. Situated in Norfolk, Virginia, Grace O'Malley's offers an authentic Irish pub experience, reflecting the heritage and experiences of its owners. At GGD Global, we have a unique 150-year-old family history of handcrafted millwork and an unrivalled reputation for authenticity and excellence. From our dedicated bar design and Irish pub manufacturing facilities, we create traditional Irish Pubs using rich natural timbers, hand crafted mirrors and leaded glass. Each Irish bar is designed to the exact specification of our clients and is fully assembled prior to delivery to ensure a smooth and swift installation with minimum disruption. Consistency is the key to quality. GGD Global' design team recognise the value ofmaintaining consistency as it reinforces the brand message and helps establish trust.